Kochi: For years, companies have been producing wall or tabletop calendars after calendars, and that too year after, to be precisely. Sceneries were an old trend so are the great personalities. Lately, since the topics like conserving the nature and recycling have caught up, our tabletops too have reflected them. However, celebrities, may it be from cinema or sports, have been a consistent trend. In this easy-to-predict clutter of ho-hums, how would you like to see yourself as the best inspirer of your life and creator of your future? 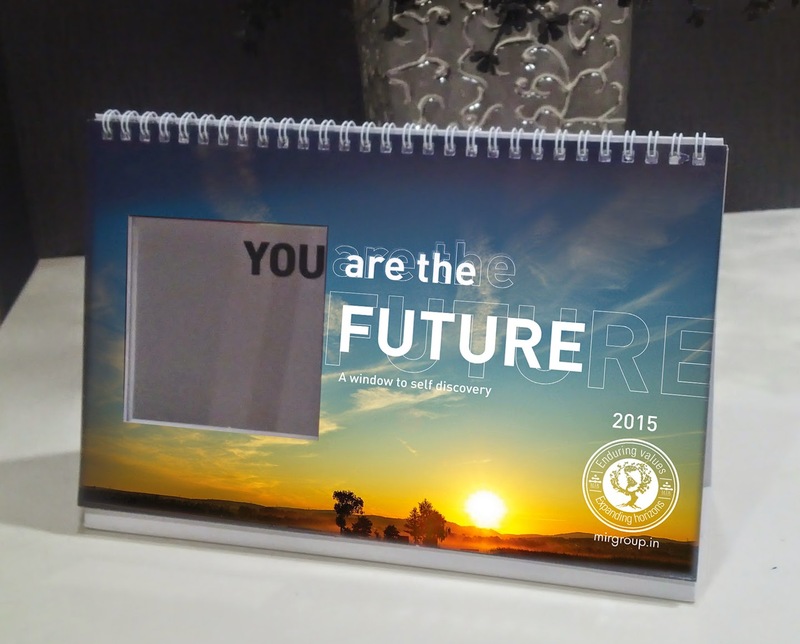 Mir Group, a Kochi-based business house with huge investments in real estate, bio-sciences and hospitality sectors, has been consecutively launching theme-based table top calendars for the last three years and this year, the theme of their calendar is “you are the future”, with a mirror embedded on the base so as to see yourself every time you look at the calendar through the square die-cut passing through all pages, garnished with some inspirational quotes. The unique and custom-made aphorisms include you are the future (visualize), you are the true patron of your life (delegate), set the trend for a healthy lifestyle (pursue), you contribute to a beautiful tomorrow (initiate), you represent every caste, color and creed (influence) and you are the gateway to a radical change (inspire). It was Bose Krishanmachari Bose, President, Kochi-Muzris Biennale Foundation, who launched the calendar in a function, held in Kochi. ‘Homage to mother’, a tribute to the selfless love of all mothers in 2013 and ‘joy of giving’ without expecting anything in return in 2014 were two of the other widely-accepted themes of Mir Calendars previously. Renowned personalities including Mohanlal picked up the calendar where a separate space was provided where one could paste one’s photo with mother, to pay true a very personalized and realistic homage to one’s mother.